With the beginning of 2018, C Wenger Group is pleased to announce that Tom Vander Well has been named the company’s President and Chief Executive Officer (CEO). Outgoing President and CEO, Scott Wier, will continue his active leadership in the Group and will serve as President of the Group’s Customer Insight division. Wier and Vander Well have owned and led C Wenger Group as partners since January 2005 when founder, Charles Wenger, turned over his interest in the company. Vander Well has been a member of C Wenger Group since 1994. During that time he has led the Group’s Service Quality Assessment and training services. Vander Well will maintain leadership of those services while assuming responsibility for the Group’s executive operations. Scott Wier, who has led the Group’s customer research services since 1988, will focus his energy on the continued development of research and survey projects. This transition is the culmination of a long-term plan. Both Tom Vander Well and Scott Wier will maintain their leadership and client relationships for all projects. Clients can expect continuation of the responsive, data-led services C Wenger Group has provided for over a quarter century. C Wenger Group is a consulting firm based in Des Moines, Iowa. The Group provides a full array of custom-designed research products with a special emphasis on measuring and improving the Customer Experience including research, Quality Assessment and data-led training and coaching. 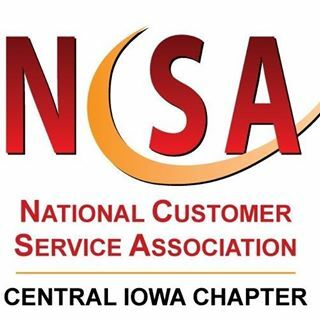 c wenger group members Tom Vander Well and Scott Wier will be presenting on the topic of “Trends in Customer Satisfaction Research and Contact Center Quality Assessment” at the July 8th meeting of the Central Iowa Chapter of the National Customer Service Association. Tom and Scott will be exploring how technology and cultural trends are affecting the way companies measure customer satisfaction and service quality, and sharing their expertise regarding how members can improve their companies’ efforts and avoid potential blind spots that are sometimes ignored in the marketplace. The previous two meetings were at Farmer’s Mutual Rain and Hail Insurance in West Des Moines but the location of the July 8th meeting has not been confirmed. Stay tuned! We will announce the location once it is firmed up and available. Please mark your calendars!